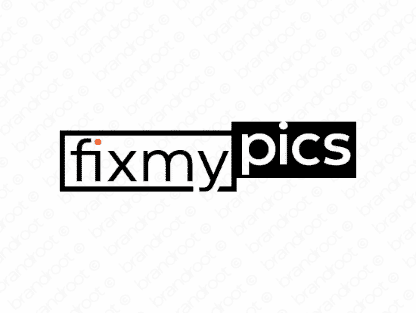 Brand fixmypics is for sale on Brandroot.com! A catchy name playing on the phrase "fix my pics". Fixmypics has excellent appeal for businesses offering photographic or graphic design related support and services. You will have full ownership and rights to Fixmypics.com. One of our professional Brandroot representatives will contact you and walk you through the entire transfer process.